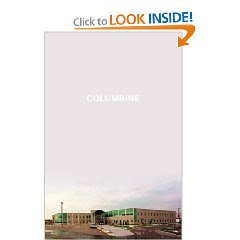 April 20, 2009 will mark the 10 year anniversary of the awful massacre/shooting at Columbine High School. While a lot of the information related to the shooting has become public knowledge in the past decade, Cullen's extremely detailed work sheds much light on the many myths and wrong details that still pervade popular culture. For starters, Eric Harris was the ringleader of the duo (I had always thought Dylan Klebold was the main instigator) and a complete psychopath. The two were not really involved in the infamous Trench Coat Mafia, nor were they isolated loners subject to bullies. In reality, they were popular within their social circle, extremely intelligent and faked normalcy for over a year, deceiving friends, their families and other members of the community. Furthermore (and I found this to be the most shocking), Jefferson County Police had had knowledge that Harris was up to something bad. They had been alerted many times by the Brown family (Harris had threatened Brooks Brown on his website), but in the wake of the shooting, those documents mysteriously "vanished." While the book is exceptionally well written and as I mentioned before, extremely detailed, I found myself very glad that I finished it due to its graphic descriptions and overall disturbing subject matter. As an aside, I felt the exact same way while watching Gus Van Sant's film Elephant, which is an obvious commentary/replication of Columbine. As a rule, I can handle films like Saw, Hostel, Devil's Rejects and other torture/bloody movies with no problem, but Elephant gave me nightmares for days. Same thing with this book.